After the note bed is completed, I make the frame that the instrument sits on. The first thing I do is make the top and bottom transoms, which are either end of the legs. The top transom is a known length as it is defined by the note bed, the only decision to make is where to put the hinges. 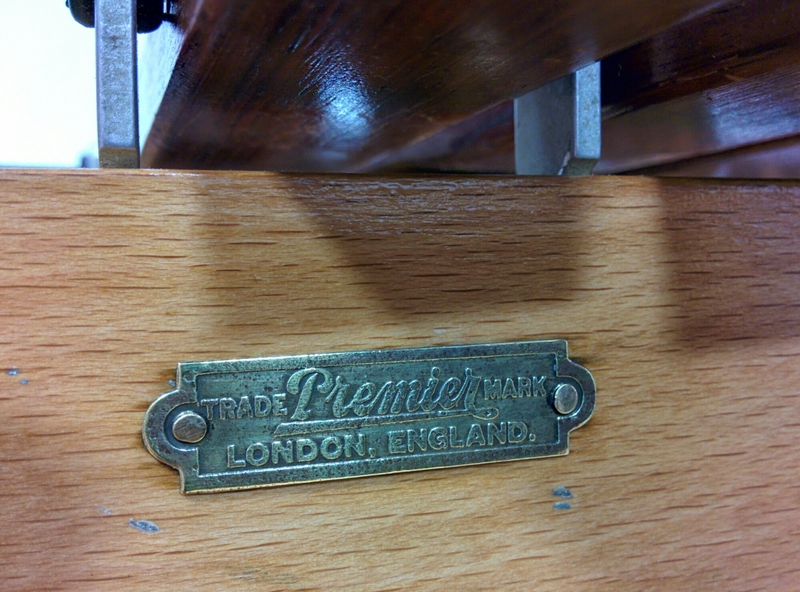 The bottom transoms have the casters attached. I make these 10mm longer than the upper transoms at the low end of the xylo, so they are 5mm wider than the instrument on either side. This is so that it is the very bottom of the instrument that hits a wall or is a positive contact point for tying into a van. This is also when I calculate the caster swing, and the bottom bar fixing points, and decide on the width of the high end legs. After the bottom transoms and fixings points are made, I can join them by adding the bottom bar because I already know the length of the instrument. The only decisions is where to weld the bottom bar in the horizontal plane, front to back. 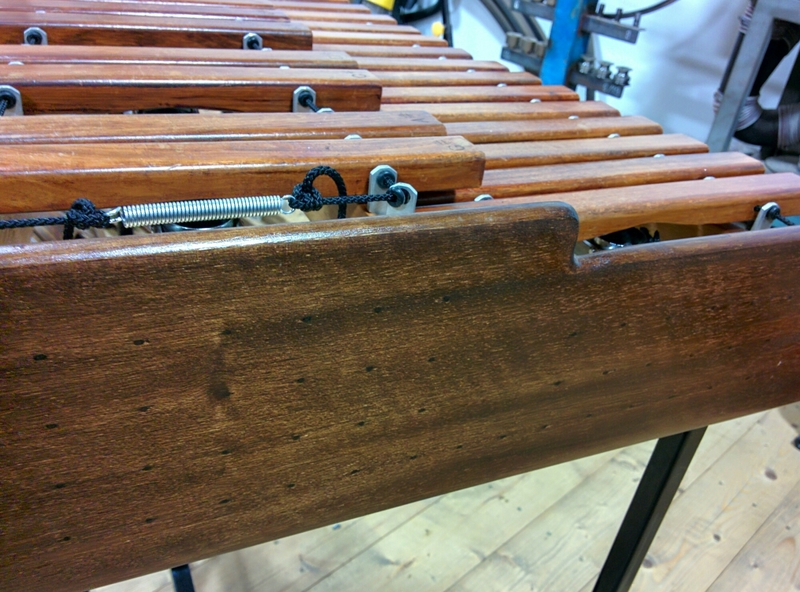 The leg length is a matter of mathematics – I have been told how high the customer wants the instrument, so I make it to the correct height. So now I have a note bed, two sets of legs and a bar for the bottom, in other words a complete square, I can assemble the instrument, and put in a brace to keep it square. Depending on the instrument, I use one or two braces. All the metal work can now be sent off to be powder coated. 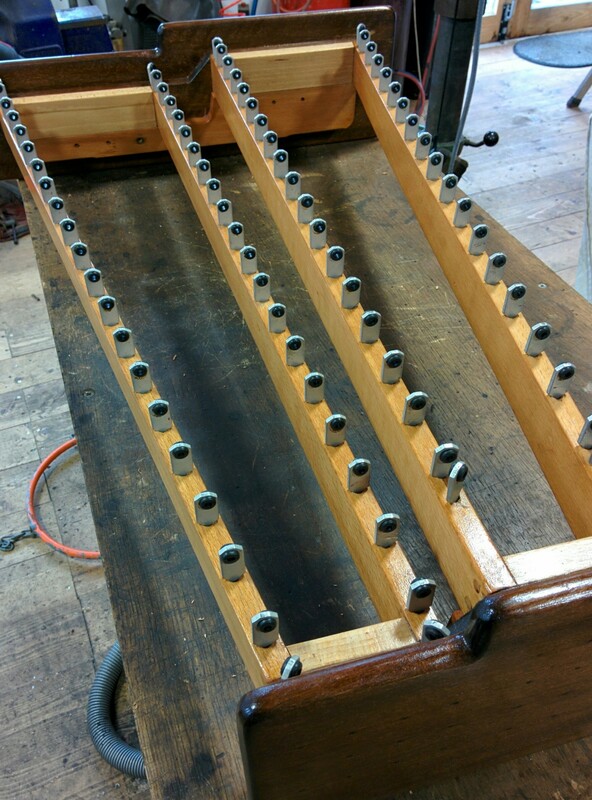 In the interim, I finish the note bed, by putting in the note pegs. Once all the bits are back from painting, I clean everything, and put it all together and put the notes on. Below you can see the figure in the end boards. 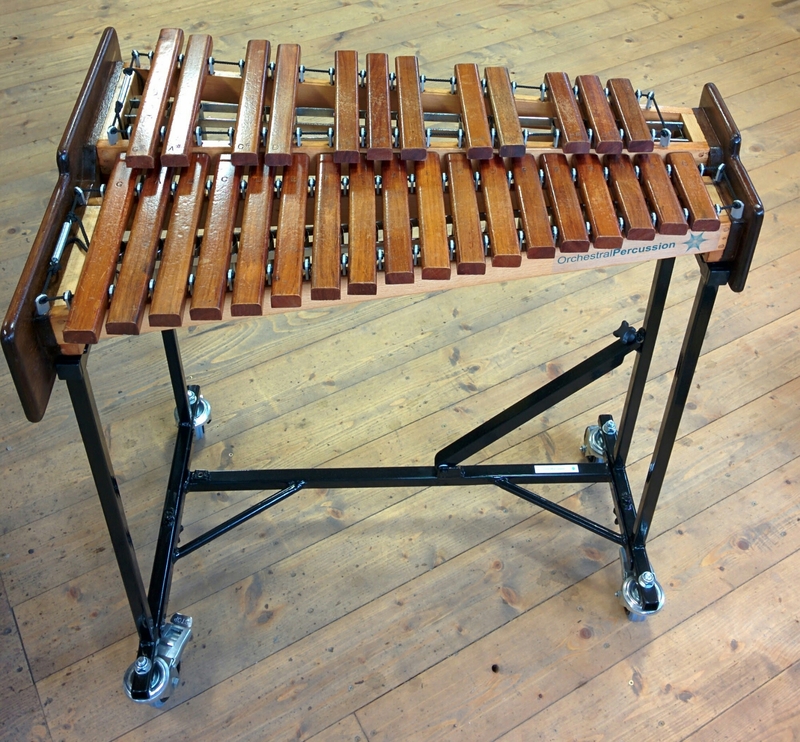 Finally below is the finished xylophone.